Creativity needs to be Encouraged! There have been discussions for many years as to whether a person is born with creativity or is it something that is developed over time. 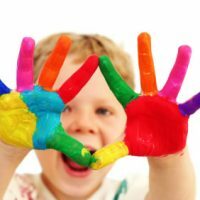 Recent research has confirmed that creativity is a learned skill and it is important to the development of a child to have creativity ‘cultivated’ from a very young age. Creativity can show itself it many ways, and children should be encouraged to gravitate towards what type of creativity they find to be the most enjoyable. 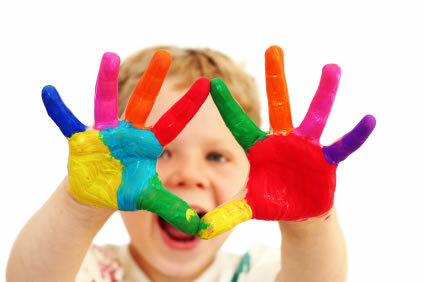 Some children are attracted to color and enjoy making things with paper and paint. Others respond to music and rythum and want to make up their own songs. Still, other children respond to stories and want to create their own stories, vibrant with new characters and extensive descriptions of new lands. It is important to make sure that children have the right environment and the basic building blocks for creativity without too many restrictions or rules. There fewer ‘fences’ put around children the more they can ‘run free’ and truly develop their creative capabilities. 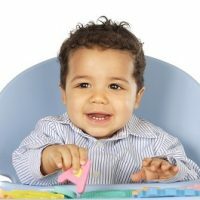 At Petit Enfants we want to provide children with everything that they need to develop their creative side. If you would like to experience our creative environment, please call and make an appointment. We look forward to hearing from you!